Read the story of baby Moses in a toddler’s Bible. (One of our favorite children's Bibles. It also comes in a toddler version which I'm sure is great too!) If your child is a bit older, we highly recommend The Jesus Storybook Bible. Reinforce Bible story through music. If your child enjoys coloring, here are some great alphabet coloring pages. LeapFrog Letter Factory DVD - We do not have cable and we rarely watch movies. But as I was doing some research on teaching children letter recognition, this DVD came up time and time again. Moms and teachers were raving about it. Does anyone have it? Do you agree that it is a great way for children to learn the letters?? I'm curious. 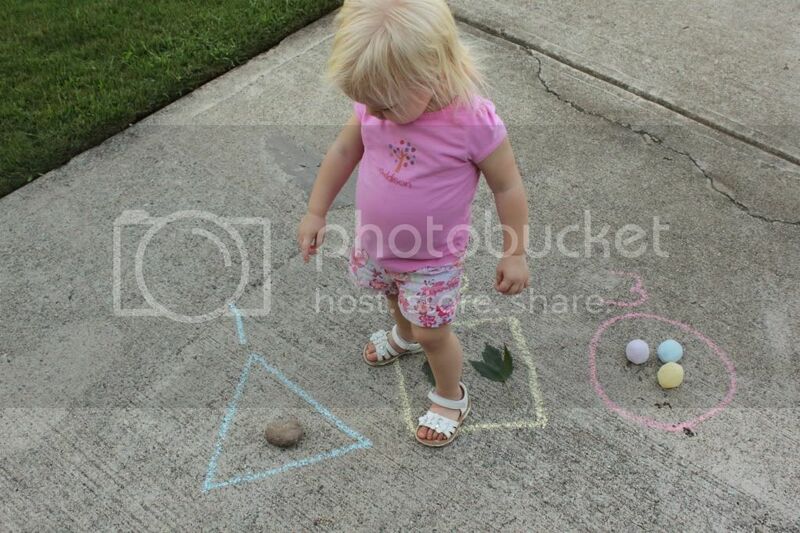 While you are outside one day, draw a square, triangle, and a circle on the driveway with chalk. Write “1” above one shape, “2” above another shape, and “3” above the final shape. Collect 1 object (maybe a rock) and place it in the shape labeled “1”. Find two objects and place inside the shape labeled “2”. Continue this process until each shape is filled with the correct number of objects. You can add more numbers if your toddler is ready. **See the pictures below. 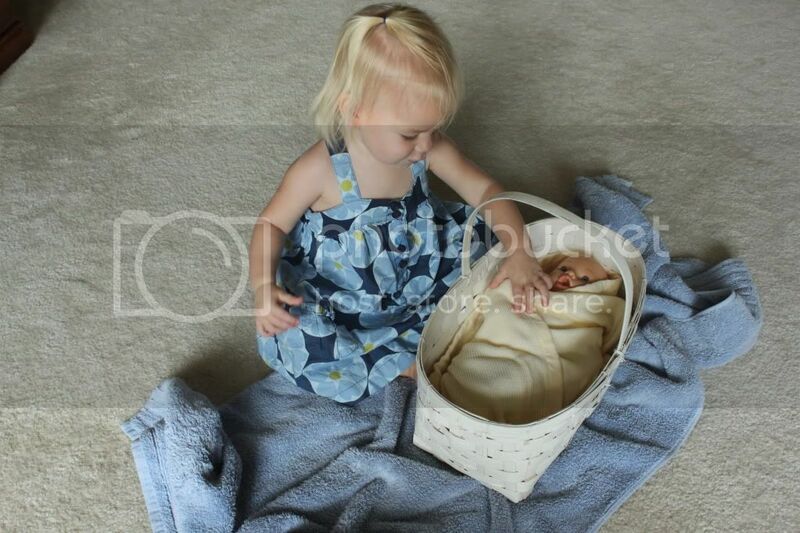 Allow your toddler to act out the story of baby Moses by getting a baby doll, wrapping it in a blanket, placing it in a basket, and pretending to float it down a river (a blue sheet). Talk about how God was with Moses even when he was a baby and connect that truth to your child’s life. 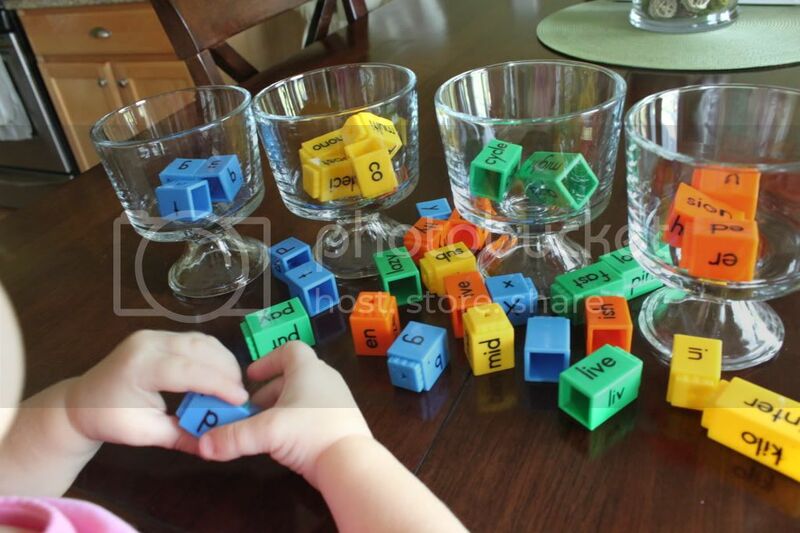 Gather solid colored blocks or objects and 4-5 glass containers. 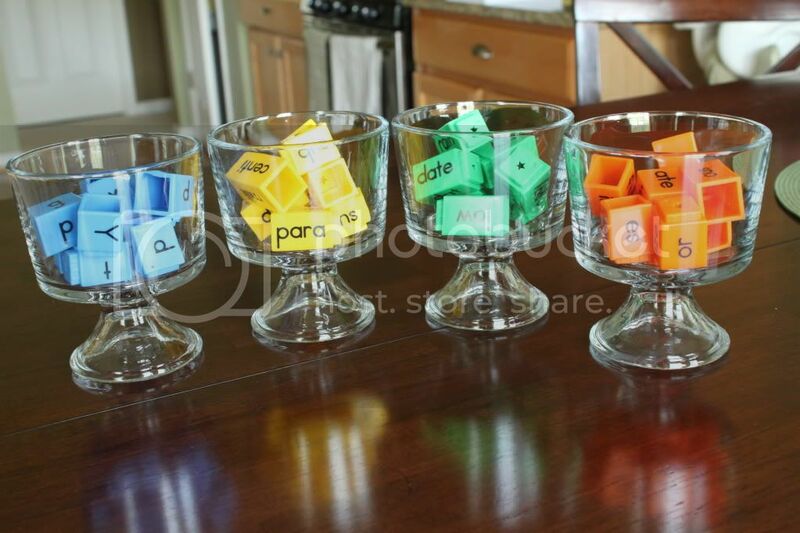 Place one colored object in each container so all the containers hold one color (different from the others). Mix up the remaining objects. Show your child how to place the yellow block in the container with the other yellow block. Focus on the colors as your child sorts the object. As you are going along, count the objects in each container. Once all the objects are sorted, you can dump each container and count the objects. **See the pictures below. 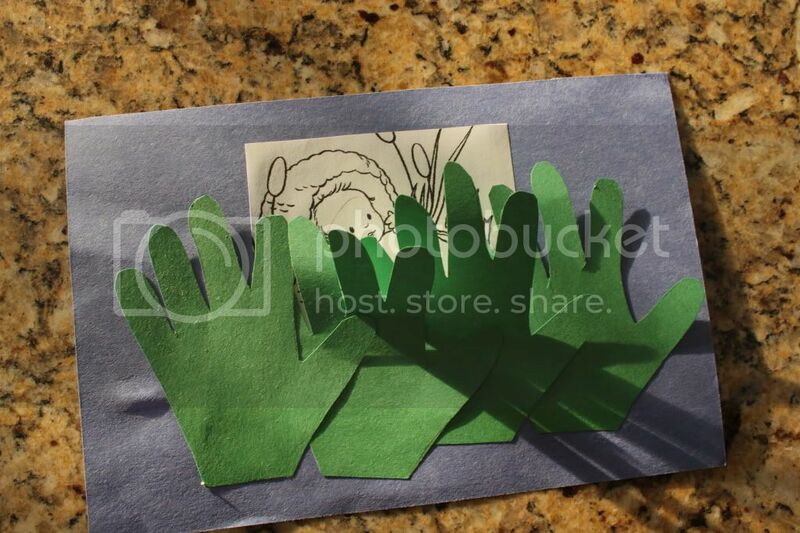 If your child is older, you could encourage him or her to make groups of objects based on their categories – farm animals, jungle animals, letters, numbers, rough objects, smooth objects, heavy objects, light objects, etc. This game encourages your toddler to actively watch, listen, and repeat what he or she saw. Tell your child to watch Mommy. Clap once. Encourage your toddler to repeat what you just did and clap once. Clap twice. Have your child clap twice. Scream. Your child should then scream. Continue this “copy cat” game until your toddler shows signs that he or she is ready to move on to a new activity. Katie, have you created your "curriculum" or are you using a book for what you are doing? I have loved reading through this each week and wanted to start something with Samuel this fall! I think what you are doing is awesome! Hi Grace! I'm glad you are finding it useful!! Addison really has enjoyed everything and I think it will be even more beneficial as she gets a little older. As for the "curriculum", I'm coming up with it on my own.